I first tried curry popcorn in Paul Rankin's restaurant Cayenne in Belfast. You can't beat it - so simple, easy and full of flavour. Great for party good, drinks party's or just a night in on the sofa! In a small pan toast the cumin seeds over medium heat until aromatic, about 30 seconds. Remove and set aside. In the now empty pan melt the butter over low heat. Add the curry powder and stir-well. Bring to a simmer, also set aside. 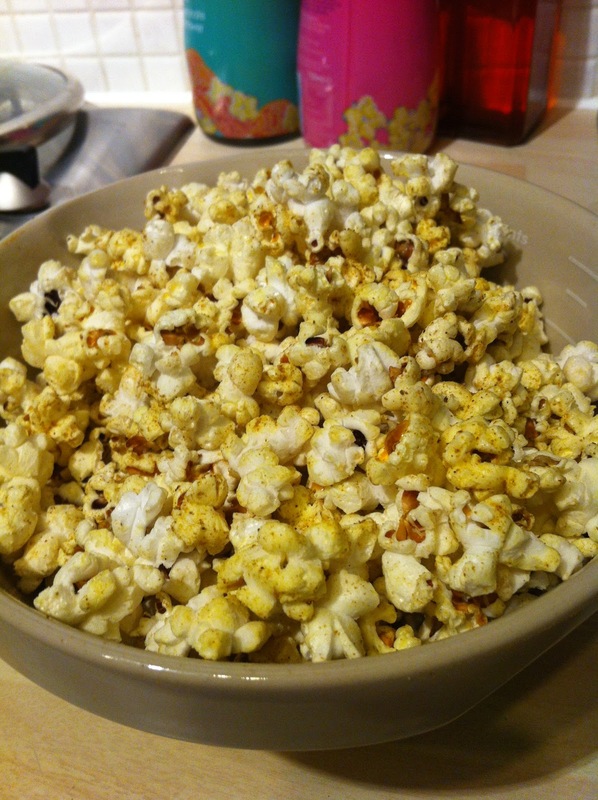 Now in a large saucepan over medium heat, add the oil and the popping corn. Swirl to even coat the popcorn. Cover the pan with a glass lid (so you can see the corn popping). Once the popping begins, hold the lid and gently shake the pan do they do not burn. When the popping becomes slower remove the pan from the heat and let rest with the lid still on for a few seconds. Put the popcorn to a large bowl. Drizzle on the curry butter while tossing the popcorn to evenly distribute the butter. Sprinkle on the toasted cumin seeds and some salt, if desired, and toss. Serve immediately.